China is transforming its economic growth mode to support a stronger services-oriented sector that relies less on exporting low-grade and low-priced products, while cutting taxes and stimulus spending. Such measures could ensure sustainable development with “New Normal” annual gross domestic product (GDP) growth rates. Yet, the transition cannot avoid difficulties and some reports from the Western media have forecast doom and gloom for the nation’s future. Nevertheless, London-based Jameel Ahmad, chief market analyst for FXTM (Forex Time), spoke to CNTV during a visit to Beijing and he expects China’s economy “to remain stable” for the rest of the year and anticipates the same for Chinese currency remninbi, RMB valuations. Ahmad believes the RMB can stay stable, since China’s capital outflows have slowed down in recent weeks and the People’s Bank of China has taken “innovative” steps to revitalize the economy. He cited the central bank’s decision to lower reserve requirement rations for Chinese banks deposits. Investors and the public-at-large fear uncertainty, because they do not know which direction the global economy is going. The international business community is closely-connected to China’s rise and feels more assured about Beijing’s reform package. Capital outflows have played a prominent role in lowering the RMB value against the US dollar, but China’s currency is still poised to maintain its strength, according to Ahmad, who said “RMB internationalization” will be a crucial factor. The International Monetary Fund (IMF) will welcome China’s currency to join its Special Drawing Rights (SDR) global currency reserve basket this October. In order to gain inclusion, the PBOC had to meet stringent requirements, such as making the yuan a “freely useable” currency and liberalizing interest rates. The Chinese are expected to have more available access to credit and loans, which can spur stronger consumption patterns. Despite a slowdown in China’s economic growth rates, surprise drop in export figures for February, and sluggish manufacturing output, year-on-year increase – 5.4 percent for first two months of the year, retail sales in the country keep soaring higher. The National Bureau of Statistics disclosed that for Jan.-Feb. 2016, domestic retail sales had risen 10.2 percent, compared to the same period last year. This follows 11.7 percent growth last December. Chinese consumers had purchased 5.29 trillion (US$815.2 bn.) worth of goods for January and February. Urban areas accounted for 86 percent of nationwide retail sales, however sales surged at a faster pace in rural regions at 10.9 percent, compared to 10.1 percent in cities. China’s online sales rose sharply, 27.2 percent year-on-year for first two months – 636.1 bn. RMB in sales, accounting for 12 percent of China’s total retail market. China stands steadfast while embarking on the sustainable development path, but it’s still confronted by challenges. 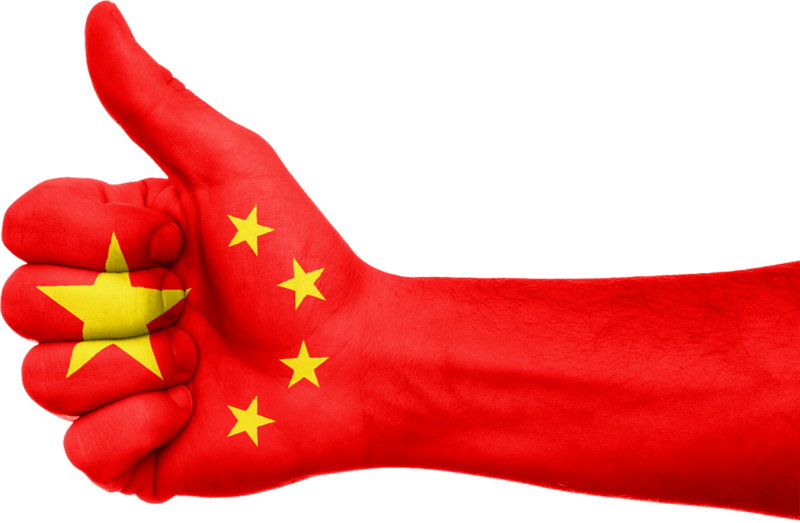 Yet, the Chinese remain resilient and FXTM’s Jameel Ahmad holds an optimistic forecast for the national economy. He believes that steady growth in China is here to stay.